For almost half a century, Jane Connell (b. Berkeley, California, 27 October 1925; d. Englewood, NJ, 22 September 2013) was counted among the busiest character actresses on Broadway. Born Jane Sperry Bennett, she married actor Gordon Connell in 1948 and began her career performing with him in San Francisco nightclubs before they both headed for New York. 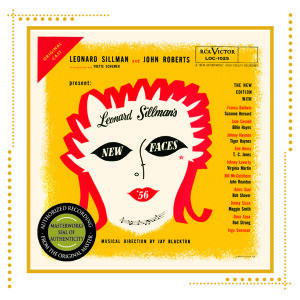 Her New York debut was as Mrs. Peachum in the long-running, off-Broadway production of Kurt Weill’s Threepenny Opera (1955–61) that had featured such great luminaries as Beatrice Arthur, Edward Asner, Lotte Lenya, Jo Sullivan, Jerry Orbach and Jerry Stiller. After making her Broadway debut in the musical revue New Faces of 1956, Connell returned to California to work in television and film. Returning to Broadway for the short-lived Ira Levin and Milton Schafer 1965 musical comedy, Drat! The Cat!, Jane Connell originated the role of Agnes Gooch in Jerry Herman’s hit Mame with Angela Lansbury in 1966. It was one she would reprise in the 1974 film adaptation (which had Lucille Ball playing Mame), and in the 1983 revival of the show, which again featured Angela Lansbury in the title role. 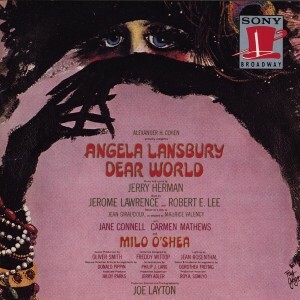 In 1969, Connell joined Lansbury in another Jerry Herman Broadway musical, Dear World, in which she created the role of Gabrielle, the madwoman of Montmartre. Jane and Gordon Connell appeared together on Broadway in Lysistrata (1972), starring Melina Mercouri in the title role. In 1989, Connell starred in the Broadway comedy Lend Me a Tenor before taking up the role of Mother in the highly-acclaimed 1992 production of the “new” George and Ira Gershwin musical, Crazy for You. She appeared in New York City Center Encores! production of Call Me Madam (February 1995), and the Weill Recital Hall of Carnegie Hall concert presentation of Noël Coward’s Sail Away (November 1999). 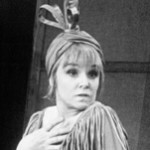 After originating the role of the Widow Douglas in the short-lived Ken Ludwig / Don Schlitz musical adaptation of Mark Twain’s The Adventures of Tom Sawyer in 2001, Jane Connell made her last appearance on Broadway in the role of Jeanette Burmeister in Terrence MacNally and David Yazbek’s musical version of The Full Monty. She died at age 87 at the Lillian Booth Actors Home of the Actors Fund from undisclosed causes. She is survived by her husband of 65 years and their two daughters, Melissa and Maggie.